There is a wide range of exercises that can be done in water but, aqua fitness is one of those that have been gaining popularity in Singapore. This is attributed to the massive exercises and health benefits that it offers. 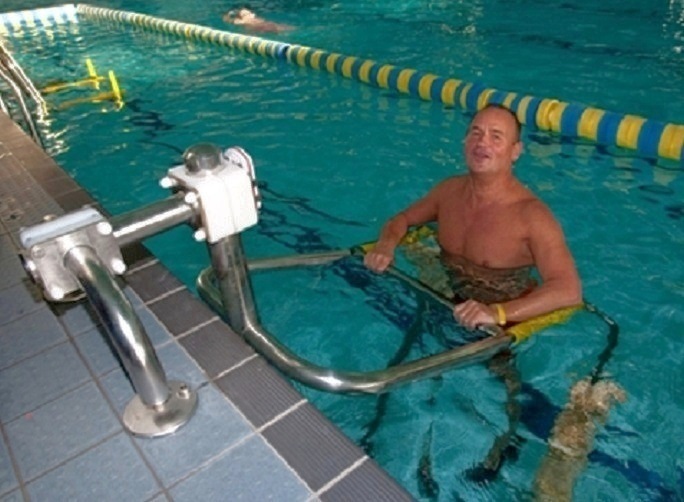 Aqua fitness is encouraged as one of the best weight loss procedures. Besides, it is also quite safe since there are less risks of injury in water. With the perfect aqua gym design, construction and installation, you can enjoy various fitness activities including, aerobics, jogging, zomba among others. Aqua fitness can also be fun and amazing with a guarantee of the ultimate relaxation. At Swimming Pool Singapore, we can help you with custom design, construction, supply and installation of Aqua gym in your home or commercial property. To most people, engaging in aqua fitness means they have to visit a fitness club but, you can now have your own aqua gym designed to suit your specific needs. We have professional designers to take you through the process of choosing the perfect style for an aqua gym. We can also deliver high quality aqua gym supplies and equipment as well as the best construction and installation services to suit your preferences and budget. Although the general perspective of an aqua gym is an area for water exercises, there are various other things that you can add on or remove from the design to ensure that it specifically meets your expectations. In creating aqua gym designs, we are always very keen on the needs of every client so that you are able to get a unique style to match the décor of your property while also delivering the best experience in aerobic exercises. We can always create just any kind of design that you need for an aqua gym. Based on the available space, the water exercises that you intend to engage in, budget among other factors, our designers will make sure that you are able to get the right match. However, we also have readily designed aqua gyms from where you can also choose what appeals to your imagination. In order to enjoy and get the most out of your aqua gym, you need the best quality equipment, supplies and accessories. However, you do not have to look any further because we stock a wide range of equipment for aqua gym and water fitness. Our products are directly acquired from renowned brands for guaranteed performance. There are several other accessories and supplies that we can also deliver for the best aqua fitness experience in your pool. Even if you need replacements or installation of new parts for your aqua gym, we have the best products from leading brands. We have an experienced team of aqua gym builders to assist you in creating the design that you choose for your residential or business property. We have the right tools, equipment and materials to use in delivering the best construction for your dream aqua gym. Despite your location in Singapore, our team will visit to oversee the process from the beginning to completion. While doing the installation, we are always keen to ensure that all the features are fixed as represented in the design. Based on your lifestyle and expectations, we will also give your gym the perfect finish. We have a wide range of finishing products to give every aqua gym a unique, bold and luxurious spark. Making the right decisions for an aqua gym design can be a challenge to many, especially if you have never hired the services. However, you do not have to go through the stress because we have professionals to successfully take you through the process with so much ease. We believe every client is unique in their own way and strive to always bring out that in every design. Since we offer all aqua gym products and services under one roof, you are always guaranteed unmatched convenience. By relying on only one provider for all your aqua gym needs, there are also higher chances of the most affordable solutions. In fact, our rates are structured to offer every client the best products and services within their budgets. Get in touch with us now for a free estimate and the ultimate aqua gym solutions in Singapore!